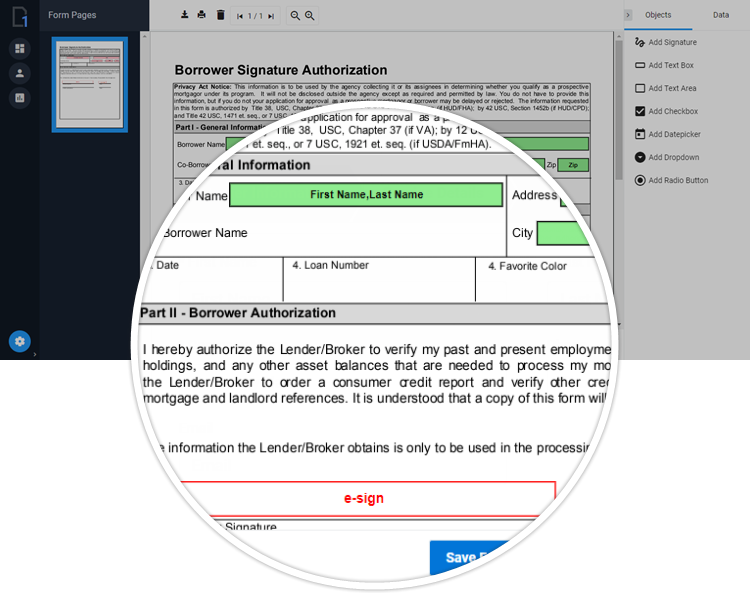 DocuFirst allows your customers, employees, or contractors to fill and electronically sign your forms online. DocuFirst helps you save time and money, by completing your paperwork faster! Everything you need to go paperless! Create a custom webform and database to store all of your form data. DocuFirst can handle complex data sets, calculations, and more to provide simplified form processing. 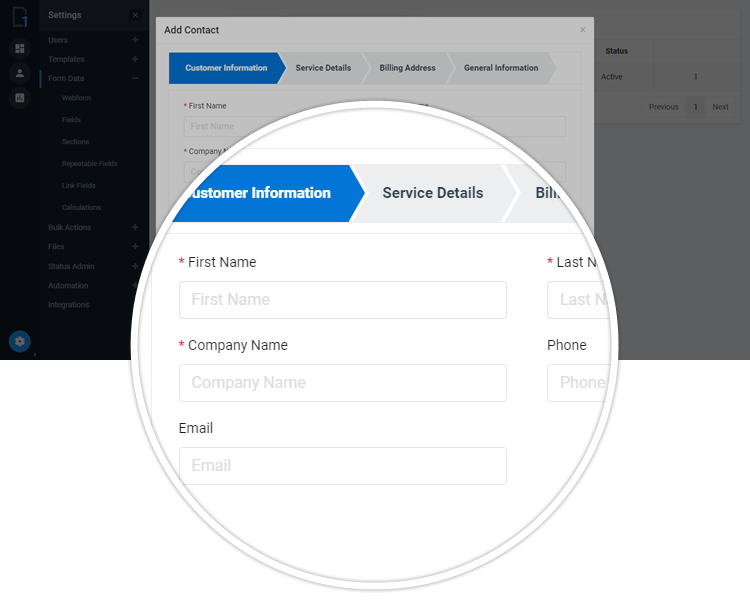 Easily leverage your form data to assemble forms faster and also increase insights into your business. Upload your form templates that you already use, and quickly map data fields and signature fields. 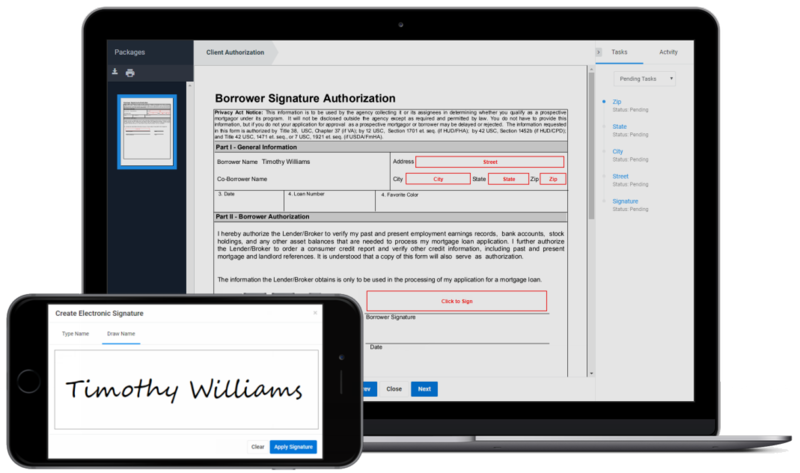 You and your customers can quickly and securely fill and e-sign your forms online saving significant time. 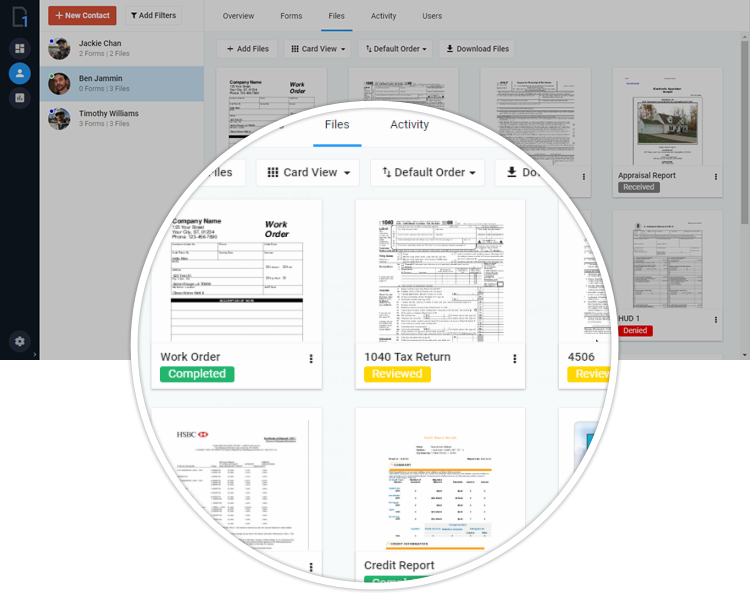 Eliminate the constant emailing of forms back and forth with customers, employees, or contractors to complete the processing of your forms. DocuFirst incorporates FIPS compliant digital signatures for each signor, which meet the highest standard in PDF signing certificates. 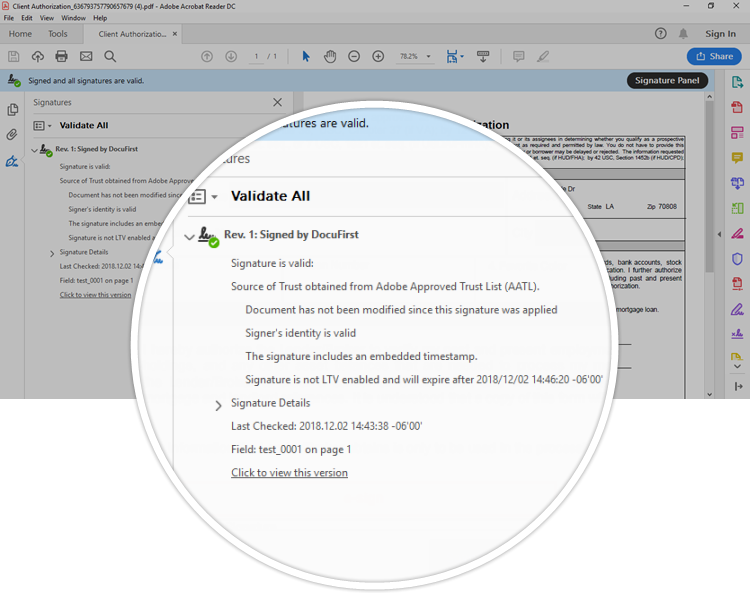 Our digital signatures link back to Adobe's Approved Trust List (AATL) and provide embedded validation and audit trail providing the highest level of defensability for your digital transactions. DocuFirst provides convient and easy document management software solutions. Store all of your documents associated with your digital transactions. Elimnate the need for multiple systems that are typically required to process your forms and store your documents. DocuFirst allows companies to completely eliminate paper clutter. We needed a solution that could handle bulk delivery of our forms and was simple for our clients to use. We are now procssing over 90,000 forms per year. Not to mention the savings from eliminate manual paper processes have been significant! 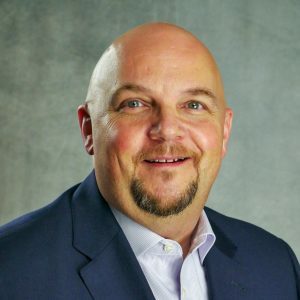 A first-to-market proppant specific transportation management software that delivers efficiencies, visibility and cost savings within the Last Mile proppant supply chain. DocuFirst was founding in 2016 and provides document management and forms automation solutions. In addition to software development, our management team has significant operational experience in forms entensive industries like mortgage lending, property appraisal, tax assesment, and more. DocuFirst provides solutions for industries such as Real Estate, Lending, Insurance, Construction, Field Services, Health Care, HR, and more. DocuFirst is much more than just an Electronic Signature Solution! We allow businesses to collect and store data needed to fill forms, along with providing robust document management capabilities. Organizations that need to process large numbers of forms and documents in a simple secure online platform choose DocuFirst! free one-on-one demonstration please click the Request Demo button below. © 2018 DocuFirst. All rights reserved. Signup Successful! Please Check your Email for Login Information.